As we look forward to a new year filled with fresh challenges, it’s a good time to reflect on all we achieved in 2017. Last year was a very successful one for Boson Web. As well as expanding the team and moving into new premises, we completed lots of exciting projects for clients and developed additional services to further support clients in their own digital growth journeys. We created a new brand and accompanying website to not only showcase the company’s services, but also its unique character. The new site makes a statement and is fully responsive too. We were asked to develop three websites to promote the different elements of this construction and development business. 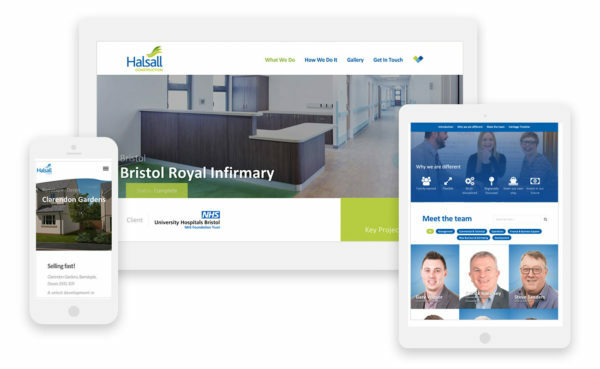 The websites are designed to intuitively guide users through Halsall’s primary sectors. We helped revamp Avon Valley’s original website and as a result, website visitors grew from 174 to 10,350. 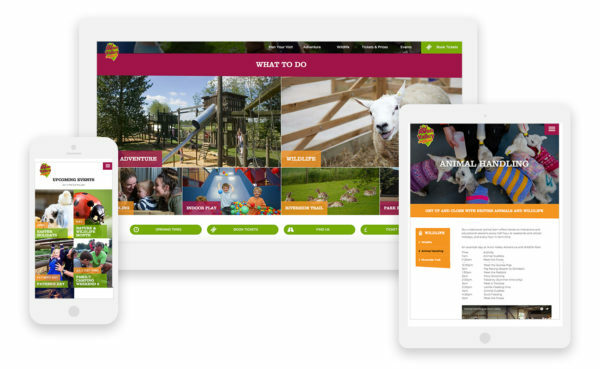 Avon Valley now has a fun, interactive website to drive online ticket sales and direct visitors to the park. As well as their main website, we also created a new Christmas microsite (‘The Christmas Experience’) to showcase the attraction’s festive events. Prima Dental – we built a multilingual website for this client, a world leader in precision dental products. Safety First Aid Training – our brief was to build a new website that made it easier for customers to search for and book on to training courses. 1st Car Imports – we were asked to improve the user experience, with a fresh brand to reflect the growth of this rapidly-expanding business. FTX Logistics – our brief was to develop a fully mobile-responsive website, clearly signposting the recruitment side of the business. Carterwood – we designed a new website for the chartered surveyors, with a contemporary look. Last year resulted in significant growth for Boson Web, with four new members of staff joining the team: Steve (Commercial Director), Mark (Account Manager), Will (WordPress Developer) and Kim (Marketing Manager). With a bigger team, our old office was getting a bit cramped, so we moved to a larger space in The Old Gas Warehouse in Bradford on Avon. We continued to build our reputation during 2017, winning new clients as well as developing relationships with existing ones. We exhibited at Bath Expo in March and at Business Showcase South West in October. In November, our Head of User Experience, Tom Beavan, gave a talk on digital marketing at a sold-out event held at the Glove Factory in Holt and we were finalists in the ‘Best Website’ category in the Bath Creative Awards. Boson Web has always developed great websites, but in the last year or so we’ve introduced additional services and can now offer even more comprehensive web support and hosting packages. We’re now also able to help our clients with more of their digital marketing requirements such as Search Engine Optimisation (SEO) and content marketing. 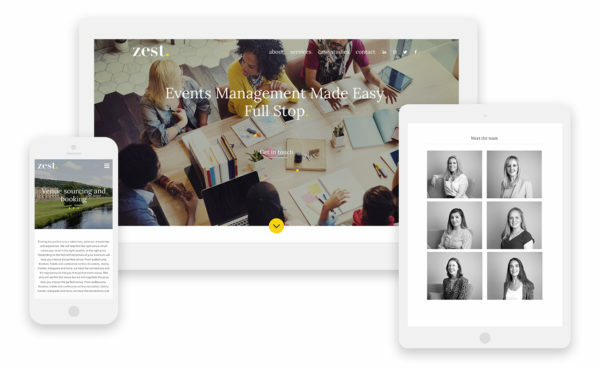 We’ve totally moved over to using WordPress as our chosen website platform (you can find some of the reasons why here), and can deliver a whole range of websites using this tool, from simpler budget-friendly options to more complex bespoke sites. If you’d like to be a part of our 2018 success story, get in touch!